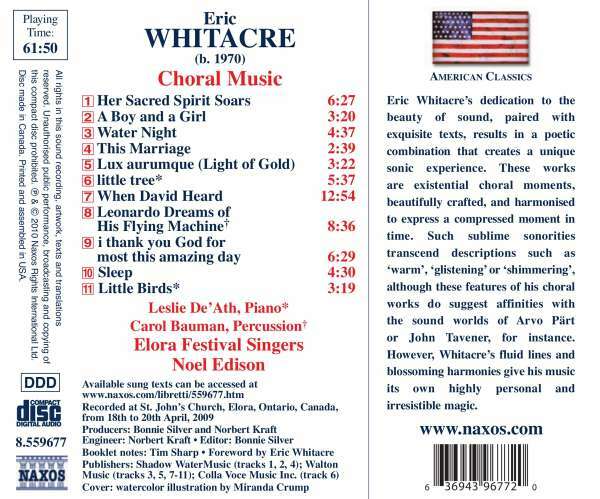 Eric Whitacre's dedication to the beauty of sound, paired with exquisite texts, results in a poetic combination that creates a unique sonic experience. 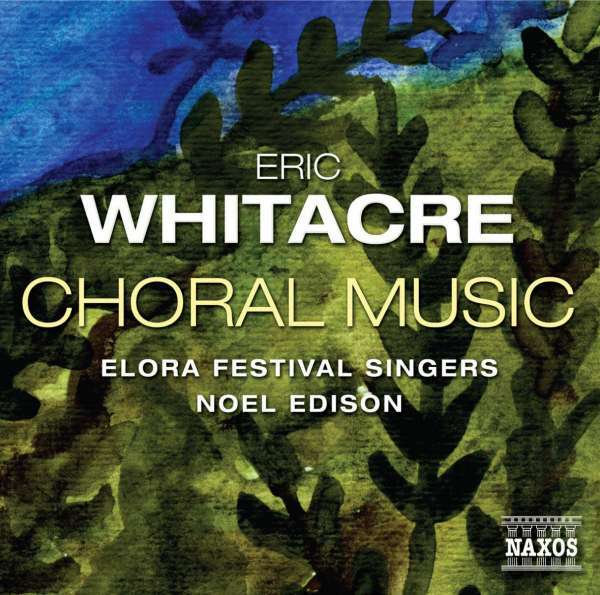 These works are existential choral moments, beautifully crafted, and harmonised to express a compressed moment in time. Such sublime sonorities transcend descriptions such as 'warm', 'glistening' or 'shimmering', although these features of his choral works do suggest affinities with the sound worlds of Arvo Pärt or John Tavener, for instance. However, Whitacre's fluid lines and blossoming harmonies give his music its own highly personal and irresistible magic.